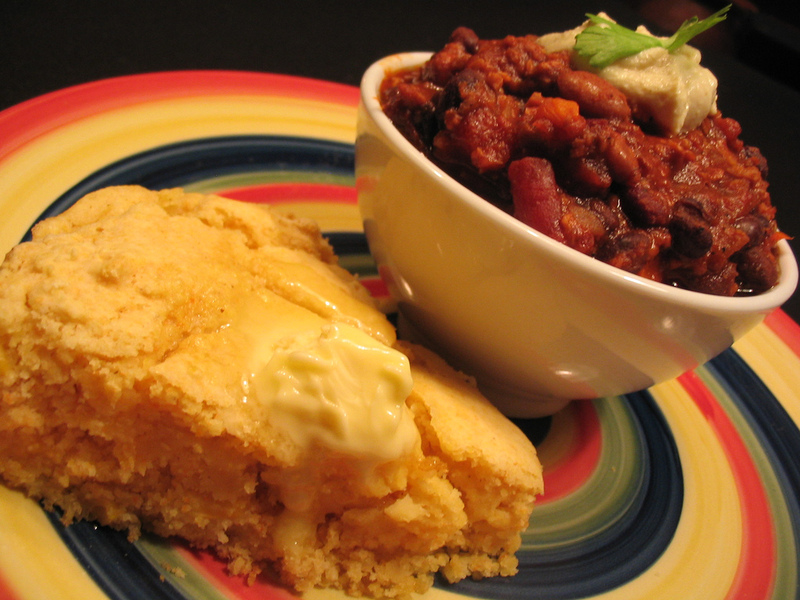 The meetloaf and the chili look so delicious, but the cornbread.. I can't stop staring at it! I like using TVP too! I try to always buy the organic kind from Bob's so it's hexane free, but otherwise yum. I do prefer Soy Curls, which are less processed and I think have better texture, but sometimes nothin' but TVP will do it! Ah, Cozy Inside! I love that book, but it's so thin that it almost gets swallowed by the other cookbooks in my bookshelf. Thanks for the reminder, I'll definitely make that chili again in the near future! I love TVP too, I just tried Soy Curls for the first time a few days ago & they're great. I love TVP and soy curls are just great! I wish I could buy them directly in the store and not have to order them though! i so need to make that chili! I forget how good TVP is and how cost effective it usually is. 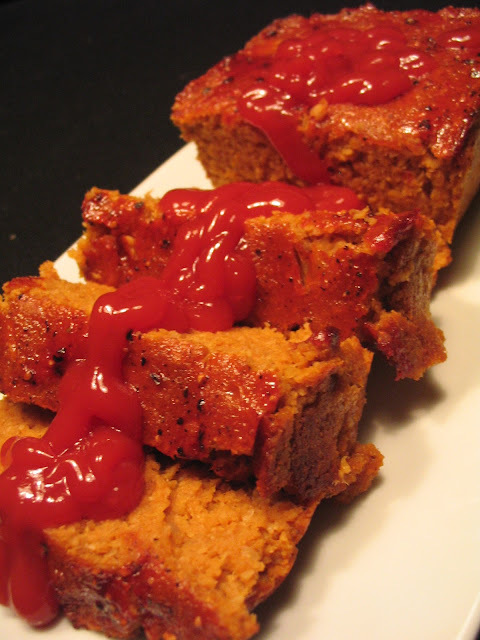 Both of these dishes look super yummy, but that meatloaf is especially making me hungry. Great comfort foods!